In Hinduism, Lord Hanuman is considered as the greatest devotee of Lord Rama. 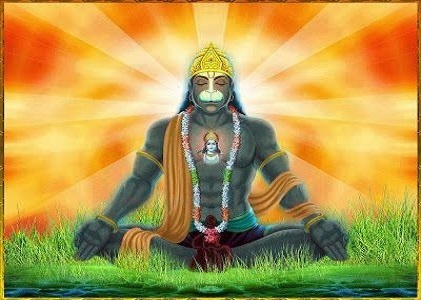 He is also called as Bajrangbali, Anjaneya, Vayu Putra, Maruti, Mahaveer, Pavanaputra and is considered as Naistika Brahmachari. Hanuman is the son of Anjani and the wind-god Vayu. Lord Hanuman is God of Strength, Knowledge, Divinity, Courage, Victory, destroyer of evil. 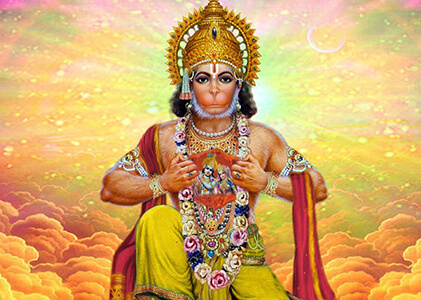 Lord Hanuman is the incarnation of Lord Vishnu and Lord Shiva. Lord Hanuman is considered to be very merciful to his devotees. 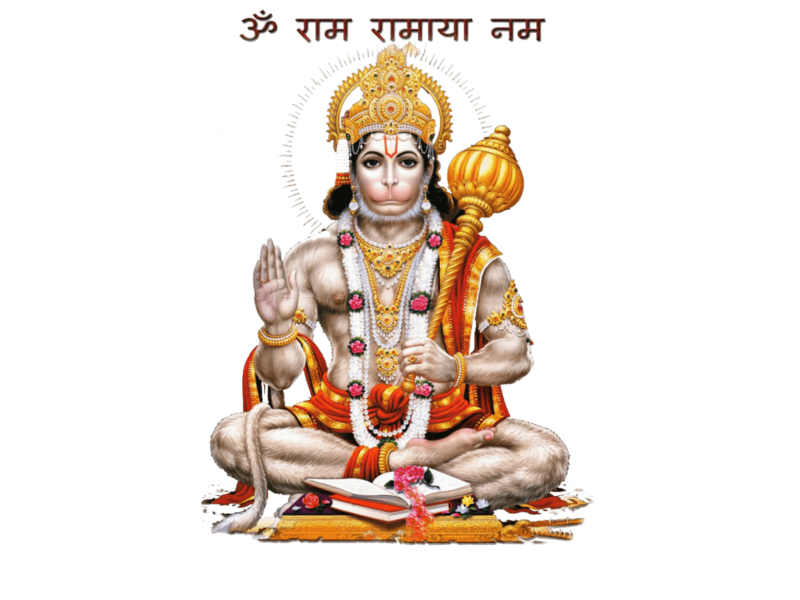 Lord Hanuman is known for his unyielding devotion to Lord Rama and chanting Lord Hanuman Mantra helps us to get rid of all kinds of problems in life. We can get rid of marital problems. Eliminates graha/planetary doshas from a persons life. Helps to overcome career related problems. Recovery from health disorders and psychological problems like depression, anxiety etc. Worshipping Lord Hanuman at the time of Shani Dasa is beneficial. 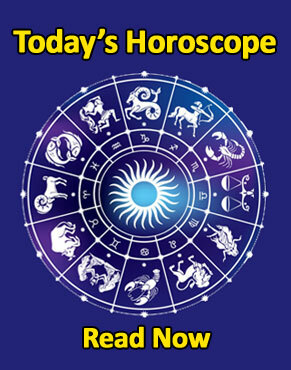 Shani dasa effects or malefic effect of Sade Sani get reduced by worshipping Lord Hanuman. Negative spirits will not affect us if we chant Lord Hanuman mantras regularly. 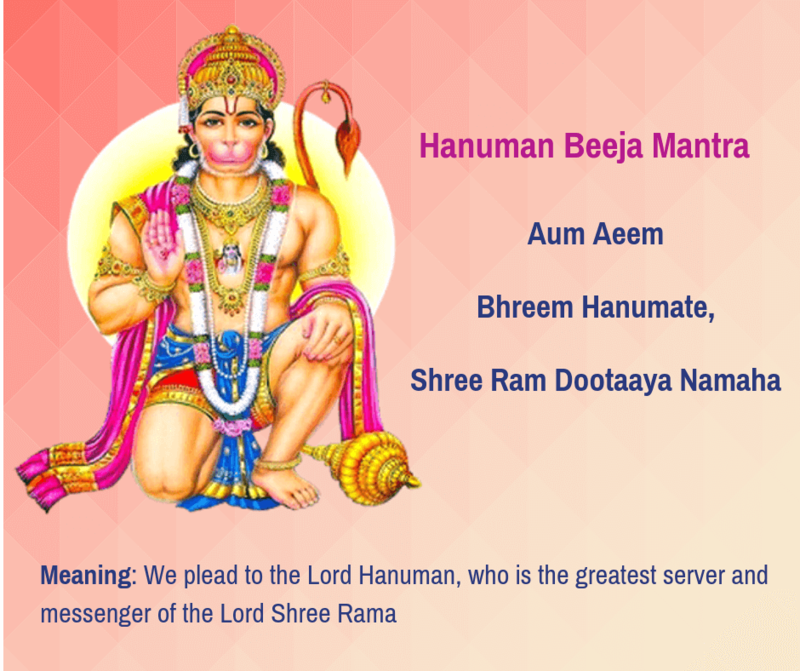 By chanting Hanuman mantras one becomes active and energetic in life and infuse confidence in those people who chant these mantras daily. Chant the above mantra 108 times a day for 48 days to get the desired results. Chant the above mantra 21 times a day for 48 days to get the desired results.